Segment 1: How does a small business deal with the very real issues of data privacy and data security that exists inside your company right now? We’ll show you the data privacy and security basics for protecting your small business. Marc Groman is an internationally recognized expert in privacy and information risk management. He teaches data breach response at Georgetown Law School, and is actively engaged in the policy debate on federal privacy legislation in the U.S. Segment 2: We show you ... Maggiori informazioni why the most important trait an entrepreneur needs to have is curiosity. And how you can determine the factors that are holding you back from being curious in your personal life and your business. Dr. Diane Hamilton is a nationally syndicated radio host, speaker, and educator. Through her work as the MBA Program Chair at the Forbes School of Business and at several other universities, she has taught more than 1000 business courses. She is the author of the new book “Cracking the Curiosity Code: The Key to Unlocking Human Potential”. Segment 3: Debt is a word that small business owners are encouraged to use to grow their companies, but taking on too much debt can also get you in trouble. We discuss how to carefully handle this double-edged sword. Garrett Sutton is a corporate attorney, asset protection expert and bestselling author who has sold more than 900,000 books to guide entrepreneurs and investors. For more than 30 years, Garrett has run his practice assisting entrepreneurs and real estate investors in protecting their assets and maximizing their financial goals through sound management and asset protection strategies. 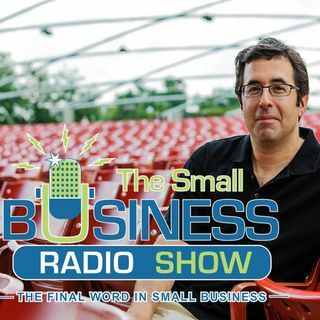 Segment 4: The most popular way to start a business is to start a franchise, but while it may be the “easiest” business to get off the ground, it can also be the most expensive and risky if it’s not the right fit! The Franchise King is here to share what you need to know about buying a franchise. Joel Libava is the author a new book, “The Definitive Guide to Franchise Research.” He works 1-on-1 with prospective franchise owners, teaching them how to find profitable franchise opportunities, so they can take control of their lives by becoming their own boss. His blog, The Franchise King Blog, is the longest-running blog in franchising.